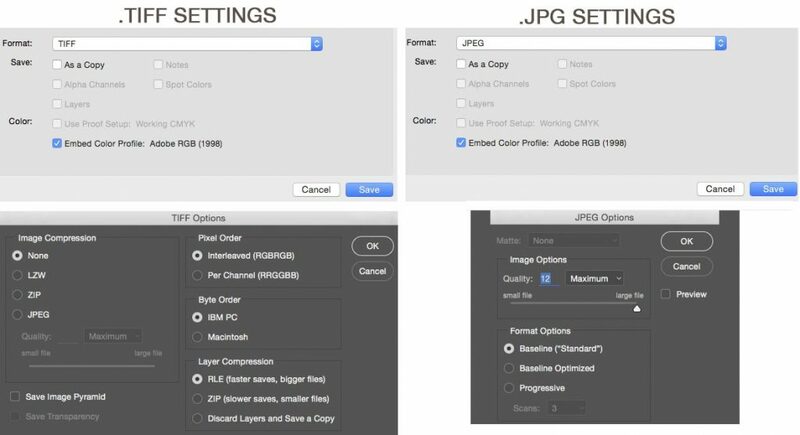 We require Print-Ready Files for images that are being submitted to us (meaning files that are scaled to the requested size, include a color profile, and any requested margin). If your print order requires file-setup, editing or digital enhancements, there will be a small surcharge to prepare your files to be Print-Ready. We double-check every file before sending it to print to ensure that there are no obvious issues like glitches in the file, evident dust or flaws, etc., but if we need to make modifications after checking the file these charges may apply. Our team is happy to help you figure out your print files, but this service is not included in our basic Giclee Print Pricing. To prepare your files for print, we may need to add some of the above charges to your order to cover our studio labor. If your files have multiple issues (for example: they require re-sizing and also changing the backgrounds to white) the fees may stack. If you are only submitting one or two images, we may occasionally waive the fees. However especially for large sets of images (10+ images) it becomes very time consuming to set-up files and make even minor changes, and we will likely need to charge more exactingly. Examining different versions of a file and going back and forth in email to help advise you about the project can also take quite a bit of work for us, and we may need to add a small charge in these cases. If we are scanning your original work, basic image editing is included in the cost of Art Scanning. For images that are submitted to us, we will add a small surcharge if they require additional edits or restoration. Complex editing projects require a quote from our team, and will be billed as Studio Time. These charges are at our discretion – we are a small team, and our time is often spread between many projects and clients. While we never want to charge you unnecessarily, if your files require additional attention & work, we need to charge for our efforts. Before beginning a custom project we will give you an approximate quote for how long we estimate the work to take. But editing is an art-form, and occasionally it can take more time than expected based on the complexity of the work. If we feel a project will exceed the original quote, we will update you before proceeding. In some cases, we need to charge studio time for extensive help in realizing your project. BFAR Studio Time is billed at 100 per hour, pro-rated in 15 min intervals. This includes Art Scanning work that requires “Museum Matching” the color – i.e. 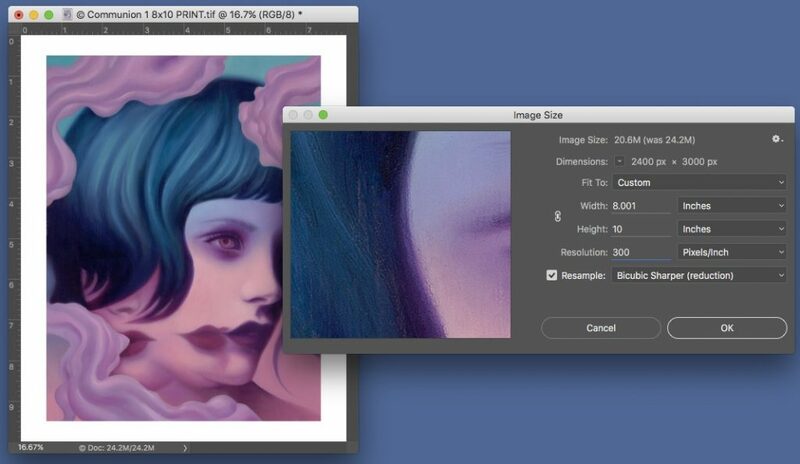 color matches with a degree of accuracy beyond what can be achieved in the initial Scan & Edit. Scan Projects with an extensive amount of image restoration (like removing tears or seams out of antique artwork, etc) will also be charged as studio time.